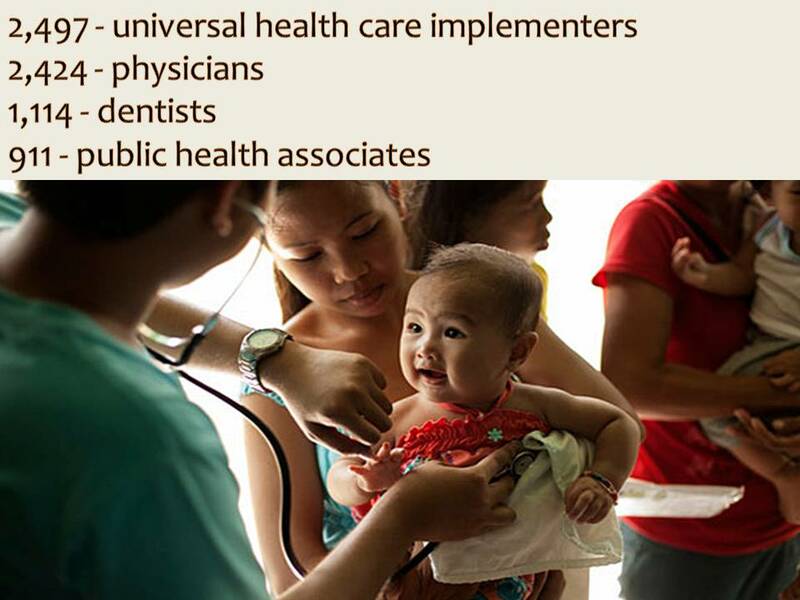 In the Philippines, working in public sector is one of the dreams of many. It is because civil service workers in the Philippines is receiving a good pay plus good bonus compared to those who are working in the private sector. That is why a lawmaker is calling for graduating high school student as well as first and second-year college student to consider taking courses in education and health sector. 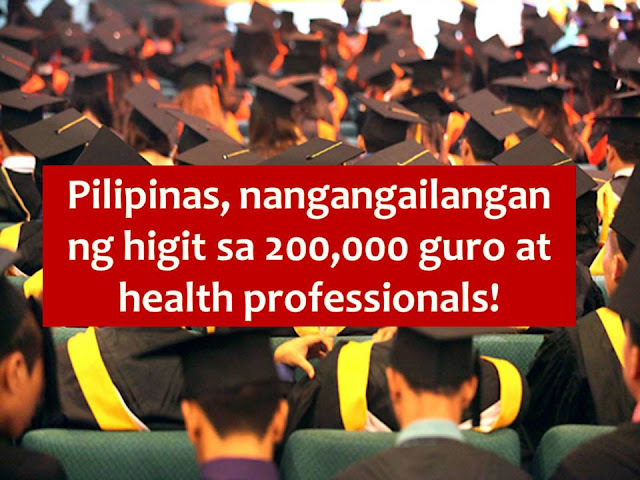 Makati City Representative Luis Jose Angel N. Campos Jr. said the government plans to hire more than 230,000 professionals in the education and health sectors until 2020 to improve public schools and the delivery of medical services in the country. In the said number, 181,980 slot intends for teachers and 52,562 health practitioners. 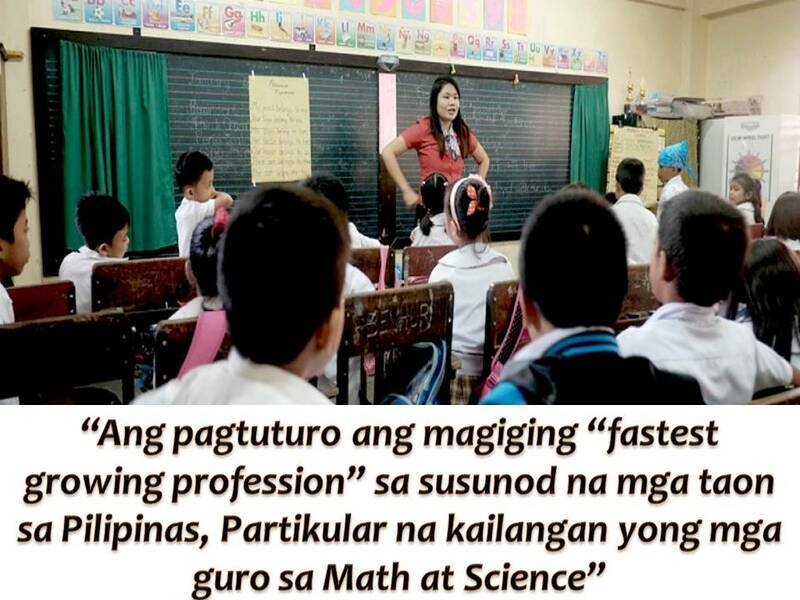 This year alone, Campos said, the Department of Education (DepEd) has allocated some P15.5 billion to fill up 53,831 new teaching positions this 2017. "The fastest-growing profession in the years ahead will be teaching, as DepEd steps up hiring to cope with the demands of a rapidly expanding public school system," he said. "The need for Math and Science teachers, in particular, will be exceptionally strong," he added. 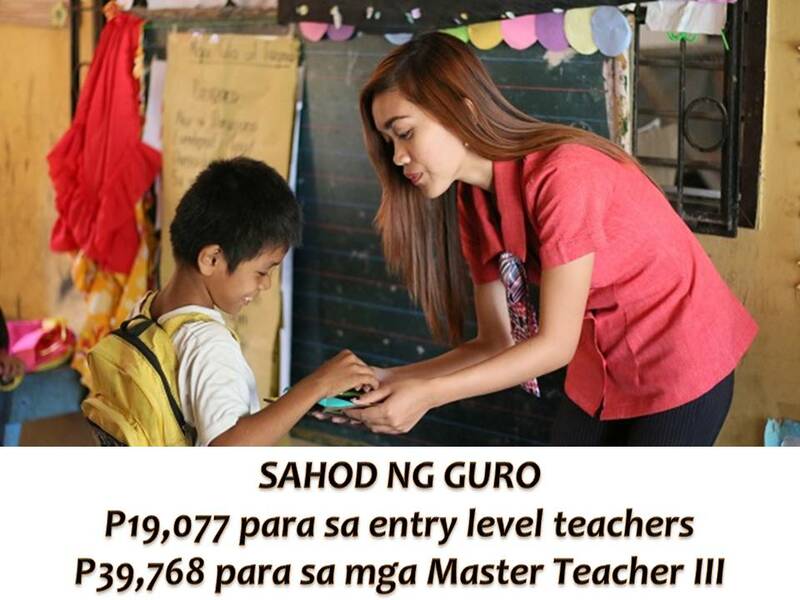 Currently, according to Campos, public school teachers are receiving a monthly salary ranging from P19,077 for entry-level teachers under Salary Grade 11, and as much as P39,768 for a Master Teacher III under Salary Grade 20. "These pay rates will increase every year until they reach P20,754 for Teacher 1 and P51,155 for Master Teacher III starting January 1, 2019, under Executive Order 201 of 2016." 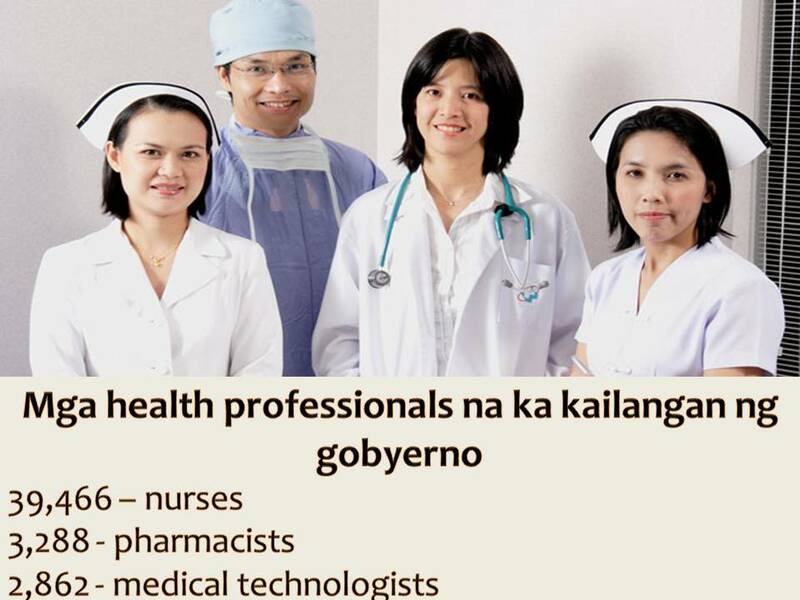 For those under the medical field, Campos said the government is looking to hire more than 50,000 health professionals. Earthquake Safety: What to do before, during and after an earthquake?